In the early days of the synthesizer, its sounds were often used in place of orchestral ones, which couldn't easily be emulated in the studio. Sample libraries have changed that, of course, but electronic string and wind sounds still have their place, and this edition of SampleRadar offers plenty of them. 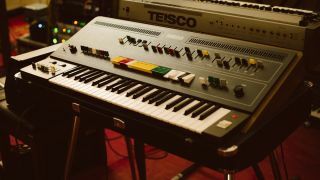 The synth orchestra samples are divided into nine folders of chords, each of which is labelled based on the type of sounds contained within it. The synth orchestra samples are supplied in a zip file, so you'll need to extract them before you can see them. Enjoy!